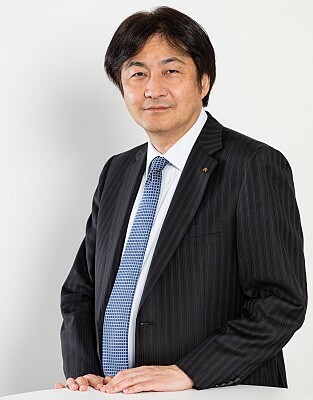 Tsuyoshi Yamaguchi has been Executive Vice President of Renault-Nissan Alliance Technology Development since April 2014. In this role, he is leading technology development of platforms, powertrains and innovation including autonomous drive, connected car and electric vehicle as common solution for Renault-Nissan Alliance. Yamaguchi joined Nissan Motor Co., Ltd. (NML) in April 1984. In 2000, he moved to the US and worked at the Nissan Technical Center North America (NTCNA), the research and development function responsible for US operations. Just four years later, Yamaguchi became the President of NTCNA. In 2008, Yamaguchi returned to Japan where he was appointed Corporate Vice President of NML and was responsible for several engineering divisions including R&D engineering management, vehicle test technology development, and Nissan passenger vehicle product development. In April 2011, he was appointed Corporate Vice President in charge of Infiniti product development before moving to the Renault-Nissan Alliance in 2012 to provide leadership for the common platform and components. Yamaguchi graduated from Kyoto University in 1984 with a Master's degree in Mechanical Engineering. Spotlight on Nissan Motor Co., Ltd.
Nissan M.O.V.E to 2022 midterm plan targets technology evolution with electric vehicle leadership, autonomous driving expansion and the delivery of mobility services. As part of its strategy for autonomous driving systems, plans to deploy ProPILOT technology in 20 models in 20 markets by 2022. The company expects to sell 1 million ProPILOT-equipped vehicles a year by 2022. An objective to offer connectivity for 100% of new Nissan, INFINITI and Datsun cars sold in key markets, enabled by the launch of the Alliance Connected Cloud. ■Group Structure and Business Outline: The Nissan Group consists of Nissan Motor Co., Ltd., subsidiaries, affiliates and other associated companies. Its main business includes sales and production of vehicles, and related parts. The Nissan Group also provides various services accompanying its main business, such as logistics and sales finance.